This is a brand new "oil painting" of two little "goldfinch" sitting on a "violin." 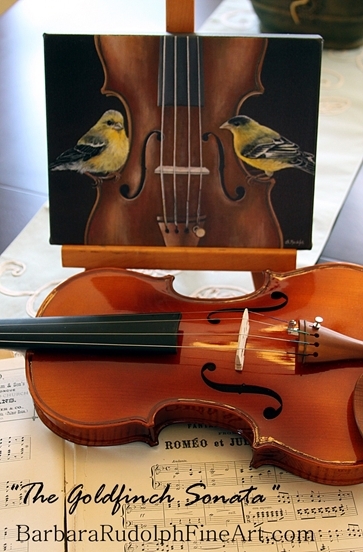 I love to paint "birds" in still-life settings, and often with "musical instruments." I have these pretty little birds all over my backyard now because I have been feeding them for a couple of years. 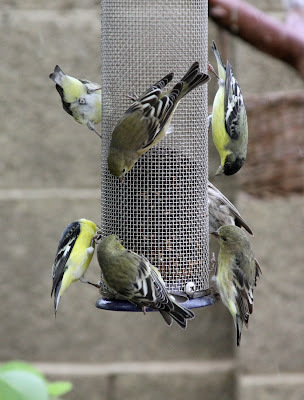 I manage to get quite a few wonderful photographs of them right through my window. 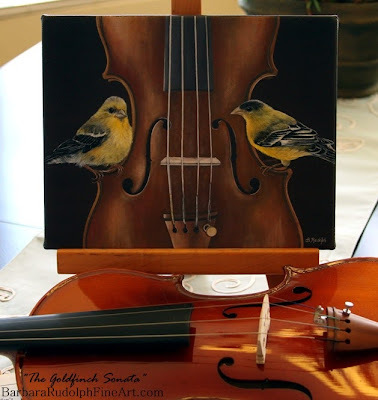 I frequently use dark backgrounds in my "oil paintings" and these little yellow birds show up quite nice in my compositions. 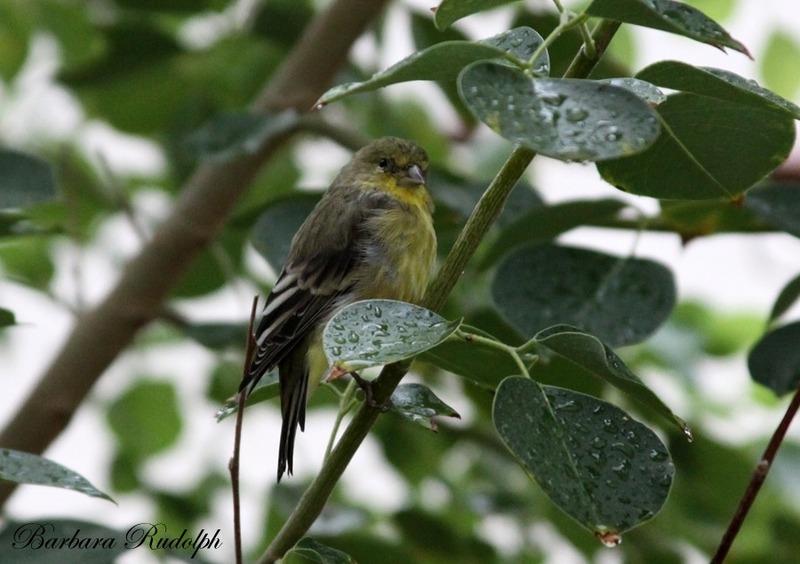 I took this photo of one of my little goldfinch friends about a week ago. We actually had a little rain that day which was a nice treat since it's been well over 100 degrees here. 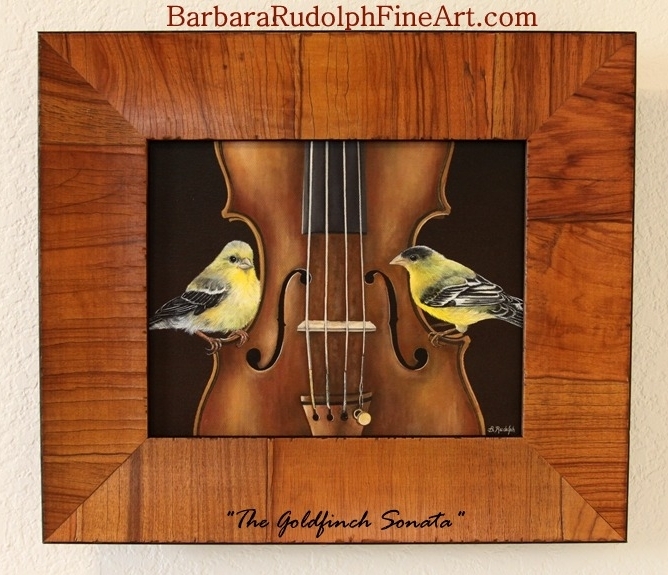 This new oil painting, "The Goldfinch Sonata" measures 8 x 10". I also am doing "limited edition giclees on canvas" of them. They look wonderful unframed on an easel too. I just got them back from my printer and they look fabulous. (The photos here read a little dark - I just took them this morning rather quickly.) The original oil painting is also for sale, and I am planning on showing it at the next "Celebration of Fine Art" show in January. "The Goldfinch Sonata" original painting is custom framed in the most beautiful "Italian moulding." It is a little sneak preview of the upcoming "Celebration of Fine Art show". It takes me all summer and fall to produce enough new paintings for this amazing show...and I always save my favorite pieces for it. - so you wont find it on my website quite yet. If you are interested in one of the limited editions, please contact me for more information. Lesser Goldfinches readily come to feeders along with other finches such as American Goldfinches and Pine Siskins. 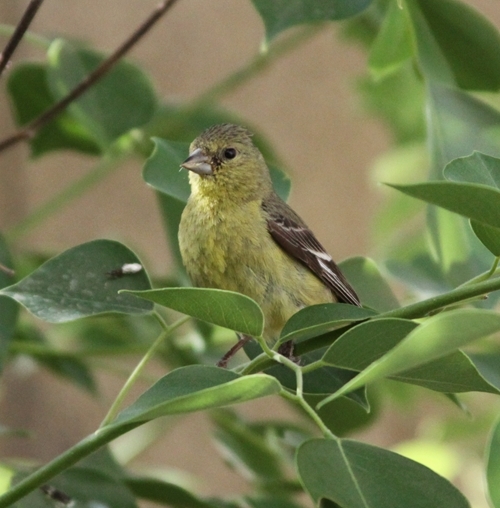 These small finches eat many kinds of seeds from the sunflower family, including the thin-hulled seeds of nyjer thistle.